"The prime minister and the president reaffirmed their commitment to the deepest economic partnership in the world," said a statement Justin Trudeau's office. 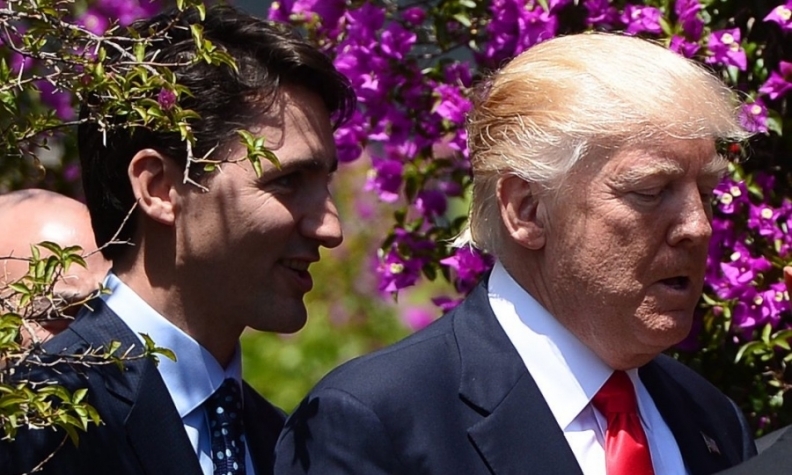 TAORMINA, Italy -- Prime Minister Justin Trudeau met one-on-one with Donald Trump Saturday on the sidelines of the G7 summit in Sicily, where the U.S. president has been clashing with other leaders over climate change and free trade. Trudeau also had trade on his mind as he grabbed a few minutes with the new man in the White House, as last week Trump began the countdown to renegotiate the North American Free Trade Agreement. "The prime minister and the president reaffirmed their commitment to the deepest economic partnership in the world," said a statement Trudeau's office released following the informal meeting in Taormina, Italy. "Trade between our countries supports job creation on both sides of the border and the growth of the middle class, and in 2016 was valued at nearly $882 billion," it said. "The two leaders also discussed a range of issues of mutual interest, including international security," said the statement. "They stressed the importance of shared leadership on issues of global concern as a means to promote peace and prosperity," it said. The Liberal government says Trudeau is making the case for a progressive trade agenda around the G7 table, and will be pointing to the trade agreement between Canada and the European Union as an example. Earlier, Trudeau spokeswoman Kate Purchase said the prime minister was expected to take that same message to Trump when he brings up NAFTA during the brief bilateral chat. Trudeau has also sat down with French President Emmanuel Macron, British Prime Minister Theresa May, and Shinzo Abe, the prime minister of Japan, while at the G7. He will have an official visit with Italian Prime Minister Paolo Gentiloni when he heads to Rome.